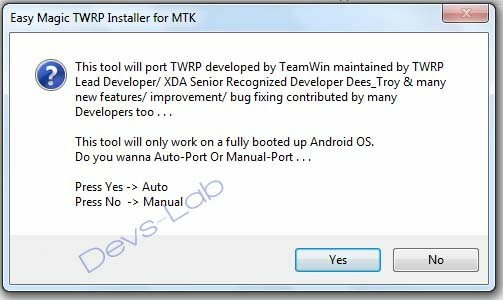 How to Install TWRP recovery for Mediatek devices. 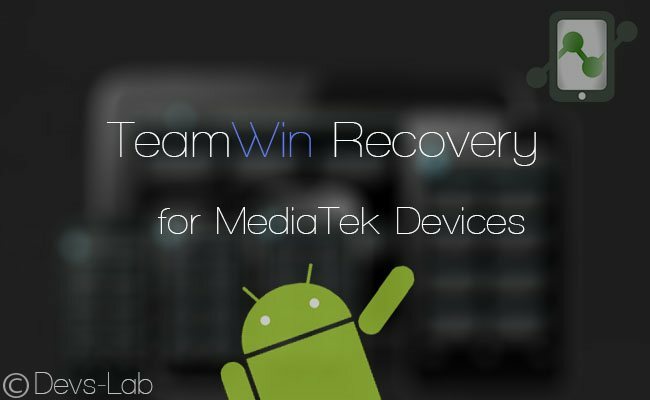 Here’s another post with another cool method to get a Touch recovery for your MediaTek based device. You might be thinking what’s the difference in touch recovery & Clockworkmod. The names says it in Clockworkmod you need to use your hardware Volume buttons to navigate to options it doesn’t support touch. But in TWRP Touch recovery you can use the touch function which is more comfortable,easy & less time consuming. Just like it takes few minutes to flash CWM in mediatek even this method will require few minutes to Install a touch recovery. You don’t need to know a thing & it’ll port a working TWRP for your MTK & that is why it is called Magic. Let you choose either to use your boot.img or recovery.img for porting. Let you manually choose your device res, data/media device, flipped screen & uses all files from your stock recovery. Refer to here for more info . . .
No need ro.secure=0 to run. The method to use this software is too simple as its has two options Auto mode & Manual mode. In Auto mode all you gotta do is install the MTK ADB drivers, Connect your phone that’s all. If after install the recovery you find some bugs or Dpi issue you need to go with the manual method. I’ll just give a rough idea as the software is too user friendly and anyone can operate it. Step 2. Extract the zip file you will find a file named as ‘TWRP Installer’. Step 3. Run the TWRP Installer.exe & Click on Next. Step 4. Wait for a minute till it ends up showing credits. Once it gets over it will ask for Launch Easy magic installer Click on yes. Step 5. It will ask what you wanna do ? 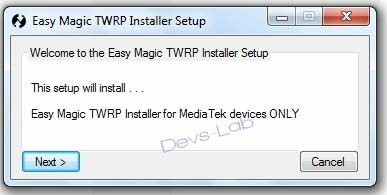 Select ‘Easy Magic TWRP Installer for Mediatek’ and press OK. Step 6. Install Universal ADB Drivers from here : ADB Drivers. Connect your phone to PC enable USB Debugging. Goto Settings > Developer Options > USB Debugging. For those who don’t have Developer options Goto Settings > About phone > Tap 4-5 times on build number. Step 7. After it is launched Press yes for Auto mode & No for Manual mode. I would suggest using the auto mode as its risk free & there are less chances of encountering a bug. Step 8. That’s all you will get a freshly ported TWRP Touch recovery for your device in few minutes. I’m not sure if this will work for all the mediatek devices but it works for majority of devices. If you have any doubt regarding this procedure you can ask me in comment section. I would like to request to those who have successfully installed the Touch recovery to please share this post & leave your feedback in comment section. It would be a great help to the developer if you would make small donation to him. Hope this works for you. Have a good day !